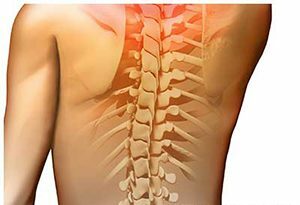 Spinal Cord Surgery (Lumbar Spinal Surgery) can be quite an undertaking with recovery periods ranging from a few months to a year or more depending on the severity of the surgery. Post-operative rehabilitation is therefore an extremely important process in helping patients maximize the benefits of their surgery. With the help of our specialised physiotherapist in London, patients will be assisted through their rehabilitation programme at the right pace, safely and with the expertise to aid them to a full recovery. Spinal Cord Surgery encompasses a number of different procedures from Lumbar Decompression to operating on Spinal Fractures, Spinal Stenosis and Spinal Fusion Surgery. In each case our London physiotherapist will develop a post-operative rehabilitation programme to meet the specific needs of each patient and based on the requirements of the procedure. In essence rehabilitation can be thought of as alignment and balance for the body through stretching, strengthening and conditioning. Our goal is to help patients recover from surgery as quickly and completely as possible. Our physiotherapist will provide information and educate the patient on how to improve their overall health from lifestyle changes to finding a comfortable position to sleep. The success of Spinal Cord Surgery doesn’t stop at the procedure, the rehabilitation and physiotherapy that follows is just as significant. There are a number of ways that our specialised physiotherapist in London will work with a patient after Spinal Cord Surgery. If you start to have back pain, our physiotherapist can help you avoid surgery by strengthening your back and abdominal muscles. Movement is the key to a healthy and painless back, working with our personal trainer on a regular basis could save you a lot of pain. Our physiotherapist will use several means to help minimize the pain, from ice packs, helpful positions for the spine, specific types of movements and the use of distinct massages. The Initial part of the Rehabilitation Training Programme will see our physiotherapist concentrate on muscle facilitation where areas of muscle may need retraining to gain strength and stability. Exercises will focus on muscles that work around the vertebra to strengthen and stabilise the spine, mainly the lower back and abdominal muscles. The physiotherapist will start with static contractions and gradually bring you towards contractions with movement. This will carefully increase the patient’s mobility and flexibility. As the Rehabilitation programme progresses, the intensity of exercise will increase. Performing exercises and gradually increasing the difficulty is vital in eliminating fatigue, getting patients back to their regular activities and most importantly avoiding re-injury. The patient/physiotherapist relationship is very important during a long-term rehabilitation programme and we encourage our patients to ask questions in order to build their confidence at every step of their recovery.